A lunch-bucket player, Murtaugh carved out a 10-year career in the majors before deciding to stay in the game as a coach. Honing his skipper skills in the minors, he was ready to lead the Buccos when Bobby Bragan got the gate in 1957.
to guide the Pirates into the World Series, where the likes of Roberto Clemente, Bill Virdon, Vernon Law, Harvey Haddix, and Vinegar Bend Mizell anchored a squad that was outscored, 55-27, but managed to be tied at 9-9 in the bottom of the ninth inning in Game 7, when light-hitting Bill Mazeroski belted the first walk-off home run in Fall Classic history. 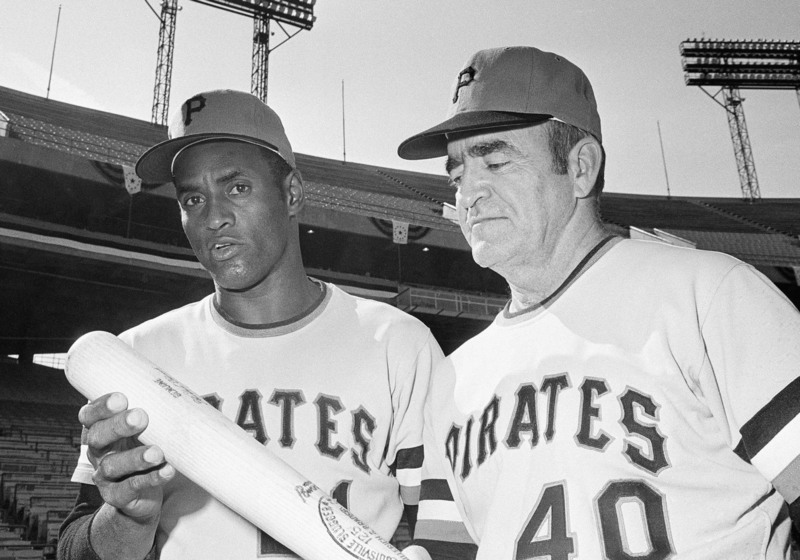 1960 secured his reputation in Pirates lore and enhanced his respect to the point that Murtaugh returned to the dugout on three different occasions after his initial retirement. He didn’t disappoint, leading the team to four divisional pennants and another Series title in 1971, which would be Clemente’s last (he was killed in a plane crash that winter during a mission of mercy for Nicaraguan earthquake relief). Murtaugh was part of the Pittsburgh brain trust that made them one of the earliest miners of talent in Latin America, which rewarded them handsomely. He was also the first manager to field a starting line-up of all black players (African-Americans and Latins of African descent).